You have found the home of your dreams and you are going to buy it. 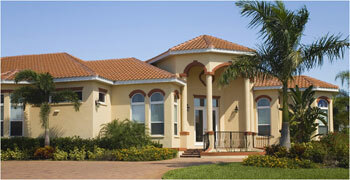 Your agent prepares the purchase offer with the standard contingency – Upon Inspection. Of course you looked over the house yourself before you wrote the purchase contract, but did you look in the attic space? The crawl space? Check to see if appliances work properly? Check to see if the sprinkler system worked? Most likely not. That is a job for the Professional Inspector. First, let’s understand that an inspector does not appraise the property; make recommendations on weather to buy the property; make recommendations about building codes compliance; guarantee the structural viability of the property or find “hidden defects”. 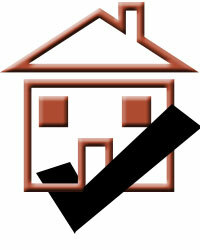 A home inspection is an independent, unbiased review and report on a home’s systems, components and conditions. The inspector’s job is to discover and point out visible problems with the property that may have been overlooked by the real estate agent, the buyer or the seller. How Can I Find an Inspector? Talk to your real estate agent, friends or family who have bought a home – all of whom might be able to recommend a qualified home inspector who has performed well for them. There are also professional associations for home inspectors (California Real Estate Inspection Association is one). Who you use for the inspection is ultimately your choice, so you will want to interview several candidates and ask about their experience, education, and any professional certifications. Be sure the inspector you hire can meet all the deadlines in your contract. A sales contract usually specifies a certain number of days to get the inspection performed, and a specific number of days for you to review and approve the inspection. What Exactly Do They Inspect? A complete inspection includes a visual examination of the building from top to bottom. The inspector evaluates and reports the condition of the structure, roof, foundation, drainage, plumbing, heating system, central air-conditioning system, visible insulation, walls, windows, and doors. All this information will be detailed in an Inspection Report. Only items that are visible and accessible by normal means are included in the inspection report. If the inspector finds problems in a building, it does not necessarily mean you shouldn’t buy it, only that you will know in advance what type of repairs to anticipate. A seller may be willing to make repairs to significant problems discovered by the inspector. If your budget is tight, or if you do not wish to become involved in repair work, you may decide that this is not the property for you. The inspection report is a tool to help you make an informed decision on weather to move forward and close the deal or not – the choice is yours. If you do negotiate repairs, always set deadlines. And put everything in writing with the appropriate initials, signatures and dates.